I just spent 4 days in Nashville, TN and what a great time I had. I got to spend 2+ days with some awesome and inspiring entrepreneurs. Whenever I host one of those events I always come away from it thinking about the important role mentors, coaches and role models play in all of our lives. We never outgrow the need for more knowledge. Secondly, there hasn't been a single time that I didn't come home from hosting one of these events with more knowledge than I left with. As if it just couldn't get any better, I got to spend some “girl time” with my Tennessee friend shopping, wandering around Franklin, TN and enjoying great food. The topic for today's post has to do with the importance of learning form others. Often that something we take for granted. But the truth is, we should always be seeking out mentors, coaches and role models. They are instrumental to our success. We all have them. We we need them. But how many is enough? coaching" width="336" height="207" srcset="https://i0.wp.com/louisvillegalsrealestateblog.com/wp-content/uploads/2016/03/mentor-22.jpg?w=286&ssl=1 286w, https://i0.wp.com/louisvillegalsrealestateblog.com/wp-content/uploads/2016/03/mentor-22.jpg?resize=80%2C50&ssl=1 80w" sizes="(max-width: 336px) 100vw, 336px" />My opinion is you can never have too many. It's a good idea to always be looking for someone that knows more than you do. What you know and what you need to learn will change continually as you grow. One thing I know for sure is that mentors and coaches enrich our lives. They help us grow our businesses faster. They also make this whole process easier for us and help us to become more profitable (faster). There really isn't a downside to these folks. As I played catch up the past 48 hours, I started thinking about my very first mentors. That's what I want to talk about today; my first mentors. When I look back it's plain to see just how important they were to me, and how they molded the person I have become. 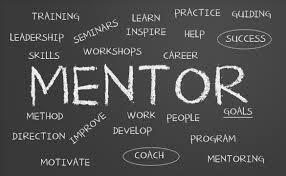 When was the last time you thought about your first mentors and how they molded your success? I have had a lot of mentors and coaches along the way, but there were two that were “my first”; my parents. Growing up I didn't think it was odd that they were entrepreneurs. In fact, I'm pretty sure I had no idea exactly what that was. Sure; I understood that my dad had a contracting business and my mom owned a beauty salon she wasn't trained to work in. She had figured out how to earn passive income even though I'm sure she didn't know that term. She just saw it as a way to make money while she did something else. I never thought it was anything special. Almost 40 years ago my mother's younger sister opened a gift shop without having any business experience at all. It was only after I got older that I really understood the significance of what they had accomplished and fully understood what a tough road this had been for them. They didn't have a business degree or even the resources to go to college. There was no internet to “look things up on”. Somehow they just figured it out as they went along. They were most definitely forward thinkers. This was especially true as I grew up and opened my own businesses. All of the things they had done throughout their lives (especially my mom), was something that inspired awe in me. without thinking about whether “a woman should do that”. If she knew they were there she never let them hold her back. I really had no idea how outstanding she was until I was an adult. Wasn't everyone's mom a pilot? Actually they weren't in the 1940's. But that was my reality. I wrote an article some time back about my first mentor and I would like to share that with you today. I would also like to encourage you to think back about the mentors, coaches and role models you've had in your life. Find some way to honor them. If you can, let them know how important they were to you and your success. Here is the story I wrote about one of my first mentors, my mom. Here is a blog post I wrote a while back on how working with a coach will bust your business right out of it's comfort zone.